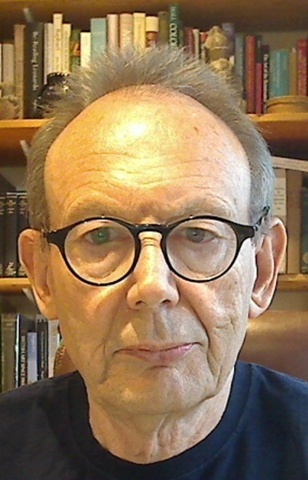 Prior to retirement in January 2005 Richard Woodfield was School Research Professor for the Nottingham Trent School of Art and Design, where he is now Emeritus Professor of Aesthetics and Art Theory. He was Honorary Senior Research Fellow in the Department of Art History in the University of Glasgow from November 2007 to October 2013. He has been Honorary Senior Research Fellow in the Art History Department of the University of Birmingham since January 2011. He is the founder/editor of the Journal of Art Historiography,which is now based in Birmingham.He is also the editor of Routledge’s new series, bought from Ashgate, Studies in Art Historiography. His interests include: the work of E. H. Gombrich and Viennese art historiography. He has edited Gombrich on Art and Psychology, Gombrich’s Reflections on the History of Art (1987), The Essential Gombrich (1996), Ernst Gombrich, Dal mio tempo: Città, maestri, incontri (1999) and constructed the Gombrich Archive. A selection of his papers is available on academia.edu. He has been Secretary General and First Vice-President of the International Association of Aesthetics, Honorary International Vice-President of the Hungarian Association of Aesthetics, Secretary and Honorary Vice-President of the British Society of Aesthetics and Honorary Member of the Italian Association of Aesthetics. He has edited Point (the British Art & Design research journal), the Journal of Visual Arts Practice and the International Association of Aesthetics Yearbook. When time permits, he is currently working on a revised, expanded and more comprehensible version of his 2011 paper, ‘Ernst Gombrich: Iconology and the “linguistics of the image”’. It might even turn into a book.